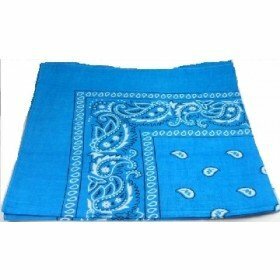 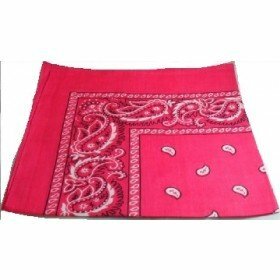 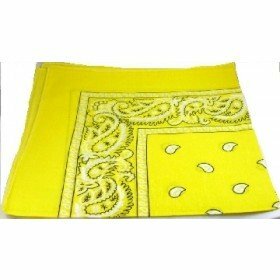 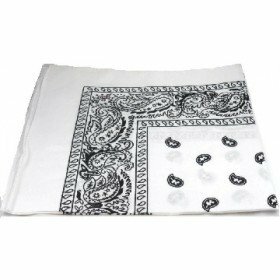 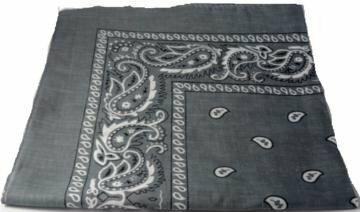 Dark Grey paisley bandana head scarfs feature a distinctive white paisley look as well as a deep lush green background. 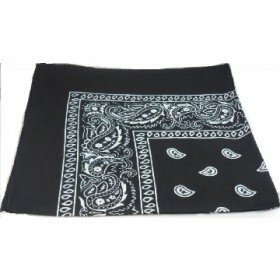 The scarfs are good for many occasions and outfits. 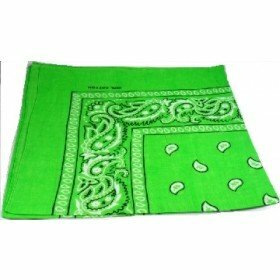 They are easy to wash and are 55 X 55 cm in size.